Setting up short term and long term goals when learning a language is really important. The goals keep us motivated and on the right track. But setting the right goals is really crucial when it comes to learning a new language. If you have inappropriate goals, you language learning may be affected badly. In this post I am sharing 5 tips on setting right and realistic language learning goals. Make Realistic, Achievable Goals – I don’t want to sound like a pessimist but the biggest reasons why we are not able to stick to resolutions is because they are not realistic. ‘I will become fluent like a native Korean this year’ is not a very practical goal as achieving native level fluency takes at least a few years if not decades. Instead something like ‘I will study and pass TOPIK level 2 or 4 this year’ or ‘I will read 1 Korean news/article/story every week’ is a realistic goal. The more realistic your goals are, the higher your chances of achieving them will be. Make Specific Goals – Saying that you will improve your speaking or writing skills in Korean is a great resolution but making the goal more specific will be better. Your goals should be easily trackable and in order to track the progress, you need to have very specific goals. Good examples can be – ‘I will write one Korean essay every week and will get it checked’ or ‘I will do a 10 minute conversation in Korean with a friend everyday’ or ‘I will pass TOPIK level 3 by October’ or ‘I will finish Korean level 4 textbook by June’. Divide Goals into Big and Small Ones – Making a big goal – like passing TOPIK level 5 or 6 – by the end of the year – is fine but you will know whether you achieved it or not only when the deadline is already over. You have no way to track your progress and change strategies in between. Dividing big goals into smaller once will make it easier to track and achieve them. For example, you can divide the goal of ‘passing TOPIK level 5 or 6’ can be into smaller goals like – 1. Make a list of important grammar patterns in January 2. Study the grammar patterns and solve one TOPIK paper every week in February 3. Do more listening practice by listening to 5 minute of Korean audio every day and so on. These small goals can be tracked continuously and if needed the plans and strategies can be changed accordingly. Also when you achieve these small goals, it will give you a sense of achievement and will keep you inspired and motivated. Decide HOW You will Achieve the Goals – Just deciding what you want to achieve is not enough, you will have to determine how you plan to achieve it. For example – instead of ‘I will learn 10 words everyday’ you should write ‘I will make a list or flash cards of 10 words from my Korean level 3 textbook, memorise them and practice by making one sentence each’. Be as specific and clear as possible so that later you can just start working on the tasks rather than wasting time on thinking how you should go about doing them. Decide how you will Monitor your Progress – Testing yourself and keeping a track of your achievements is very crucial. You need to set several milestones where you will examine if you have successfully learnt what you had planned to learn or not. The test can be done through some pre-made test papers, with the help of a teacher or friend, using online mock tests or by assigning a task (like making a video in Korean or writing an article in Korean) to yourself. Keeping a record of your test results will keep you motivated and will help you adjust your methods, routines and goals. You can also let a friend know about your goals and ask him or her to monitor and test you. Some people also announce the goals on social media and use the self-built pressure as a catalyst. What are your language learning goals this year and how are you planning to achieve them? Satish is the Founding Editor of TOPIK GUIDE. He is passionate about helping Korean language learners succeed in TOPIK test and achieve their goals. He has a Bachelors, Masters and M.Phil. 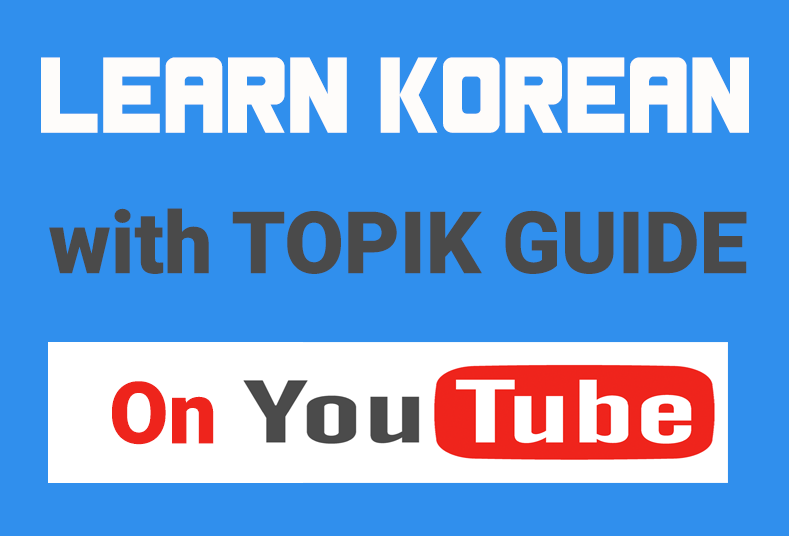 in Korean language with a specialization in 'Teaching Korean as a Foreign Language (외국어로서의 한국어교육)'. Currently He is writing his PhD dissertation on Korean language education. He has been involved in Korean language teaching and research for more than 8 years. He has also worked as an Independent Korean Language Expert with some of the top Korean and Multinational companies.